TarkanUnited(first official USA fan club) was created in April, 2007 in USA. It was made for all Tarkan fans in US and outside the border. 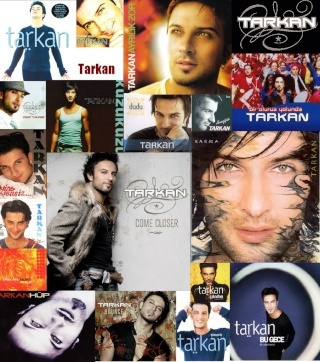 In summer of 2007 we became a part of Tarkan International project, which consists out of 11 official international fan clubs (including ours) and is affiliated by HITT, means recognized as an official International Fan Club community. Direct links to the project page and clubs who are invloved you can find in our “TOP LINKS” section. Get together and enjoy a wanderful music from Tarkan! We speak and provide translations in languages like : Turkish, Russian, Arabic & German. Our team consists of: owner/club admin (Olya), and co-admins/moderators (Nicole, Ellie & Jasmine). Our "language officer" is Emine (paranoyaaak). She always does translations for us from Turkish to English and we are really thankful to her for that! . Feel free to send your e-mail anytime or simply join our group and forum to stay more updated.